Need a new mower, but don't have the cash-on-hand to pay for it today? 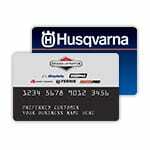 At Mowers Direct, you can now finance your entire order and pay for it a little at a time. There are a couple of different options to choose from, so no matter what you're looking to get, we've got you covered. Just determine the best option, follow the instructions, and place your order. It's that simple. 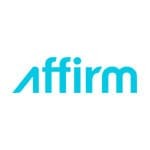 Affirm offers financing for online purchases over $249. Just shop and add a total of $249 or more worth of merchandise to your shopping cart, select Affirm as your payment option, and follow the instructions. Mowers Direct and Toro have teamed up to offer special customer financing on Toro branded power equipment. 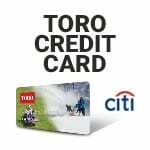 Purchasing Toro products couldn't be easier. Simply apply online and in seconds, you'll be on your way to getting your equipment. The next time you go to manicure your lawn, you'll have to keep from smiling! Mowers Direct Now Offering Financing - Find Out How to Finance Mowers Direct Purchases. Our lawn mower how-to library can help you pick the perfect reel lawn mower, push lawn mower, riding lawn mower, zero turn lawn mower, lawn tool or lawn mower accessory.